The National Endowment for the Humanities (NEH) announced today that UC Santa Cruz alumna Patricia Limerick is one of three prominent and accomplished individuals who will join the Endowment’s advisory board. The board, called the National Council on the Humanities, consists of 26 distinguished citizens who meet three times a year in Washington, DC to make recommendations on grant applications and advise the Chairman. The three new Council members were nominated by President Barack Obama in the spring of 2015 and confirmed by the U.S. Senate in November 2015. The new members can begin serving as soon as they are sworn in at the first opportunity, the Council’s spring meeting in March. Limerick received her B.A. from UC Santa Cruz (Cowell '72, American studies), and her Ph.D. from Yale University. 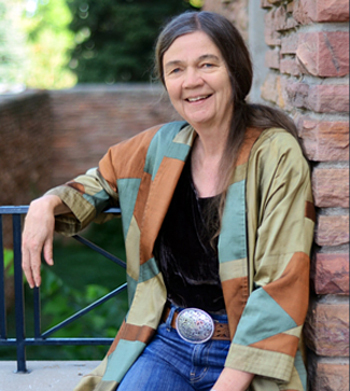 Limerick is the faculty director and chair of the board of the Center of the American West at the University of Colorado, Boulder, where she is also a professor of environmental studies and history. She is the author of Desert Passages, The Legacy of Conquest, Something in the Soil, and A Ditch in Time. A frequent public speaker and a columnist for the Denver Post, Limerick has dedicated her career to bridging the gap between academics and the general public, to demonstrating the benefits of applying historical perspective to contemporary dilemmas and conflicts, and to making the case for humor as an essential asset of the humanities. A recipient of the MacArthur Fellowship and the Hazel Barnes Prize (the University of Colorado’s highest award for teaching and research), she has served as president of the American Studies Association, the Western History Association, the Society of American Historians, and the Organization of American Historians, as well as the vice president for teaching of the American Historical Association. Limerick was appointed to the National Council on the Humanities along with Dr. Francine Berman, a distinguished computer scientist who has been recognized by the Library of Congress as a "Digital Preservation Pioneer;" and Shelly C. Lowe, executive director of the Harvard University Native American Program.